My hubby and I were shopping in Honolulu a few months ago and came across the cutest little store front. He was going to run into the video game store (yes, really) so I poked my head into this place and said, “I’m going to check out this candy shop” because it was too cute to pass up. As I stood in front of the glass cases, it took me several minutes before I realized I wasn’t looking at things I could eat — it was jewelry! Turns out I was inside of Q-Pot, the brain child of Japanese designer Tadaaki Wakamatsu. Q-Pot is known as the “mysterious pot” because “no one knows what will jump out of it”. And once you go inside, you’ll truly understand this concept. Q-Pot designs are incredibly cute, sweet and very much about fantasy. 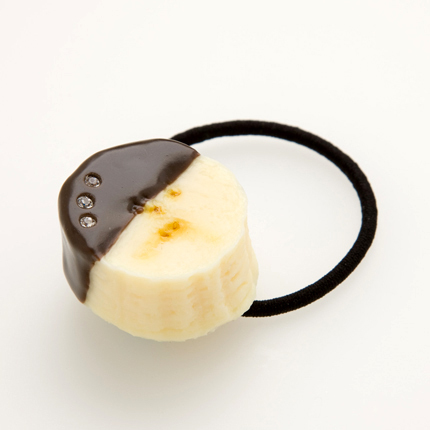 Wakamatsu takes ordinary food items like chocolate bars and hamburgers and turns them into dreamy, wearable works of art. The burger and ice cream accessories come in layers, so you can add items to your stack as you wish. Don’t like tomatoes? Then just opt for lettuce and cheese instead! 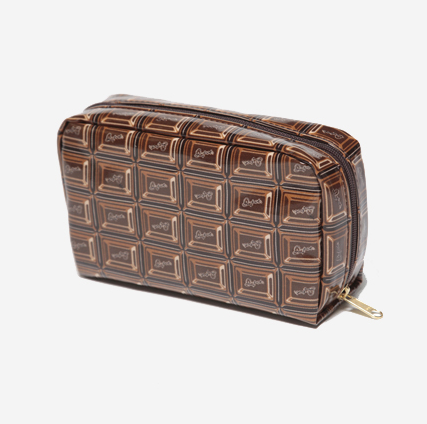 love sweets? 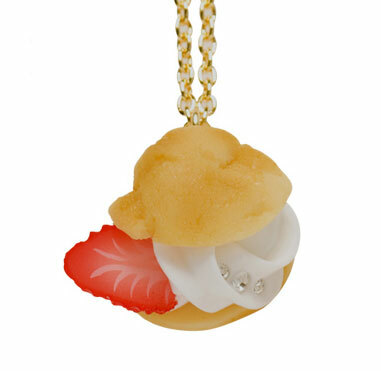 a cream puff necklace might satisfy your craving. 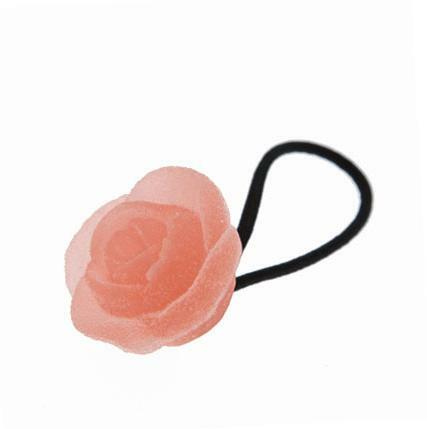 I ended up buying a pair of earrings that look like frosting shells. They’re a pretty pinky-coral, super girly and prefect for me since I’m a baking queen who works wonders with buttercream! don't they look like frosting?